Want to be notified of new releases in vavjeeva/PiMonitR? 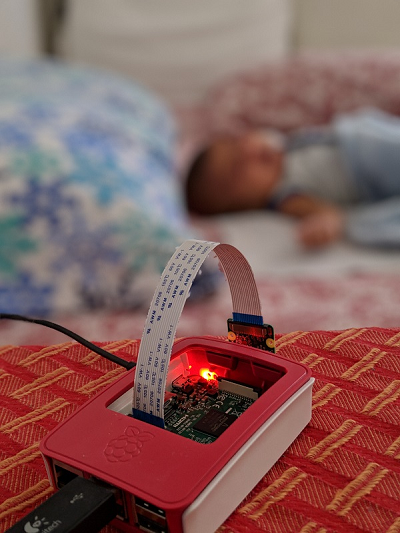 In this article, we will look at how to do baby monitor with Raspberry PI including camera module using SignalR streaming and Cognitive Vision Service APIs. 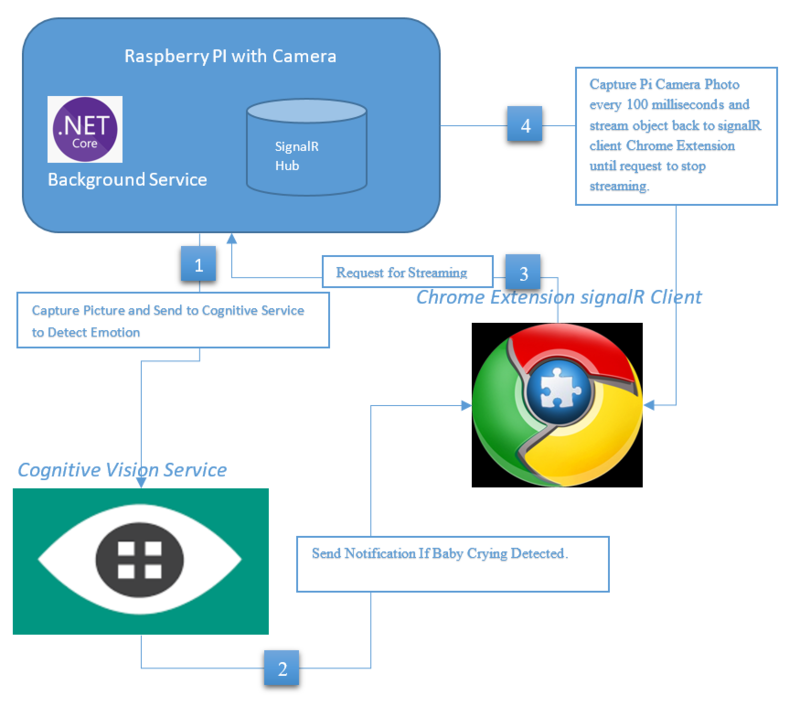 Server side signalR streaming hub hosted in Raspberry PI along with dedicated .net core background worker service running in a separate thread to capture a picture of baby every 1 min and pass it to cognitive vision service to detect the emotion and if the emotion rate of crying is higher than defined limit, signalR Hub will notify the connected users in real time. Before, we deep dive into article, I just want to add disclaimer to readers. I am a very big fan of signalR and always wanted to try different things with signalR. 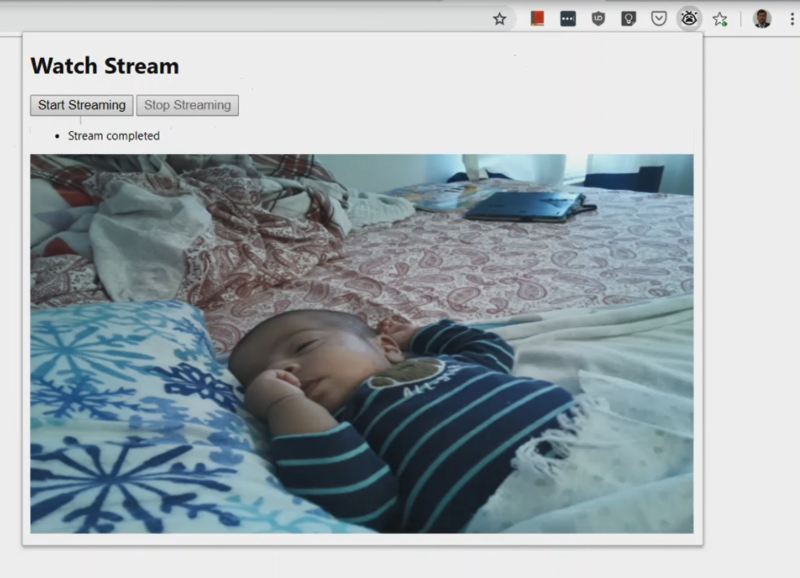 When i got this idea, i had very limited docs on signalr streaming and how to capture the photo / video from Raspberry PI. So, this is my experiment fun project with signalR streaming and i wrote this code with out thinking much about scaling and performance. PiMonitRHub is streaming hub with startstream and stopstream methods. When the client invokes the startstream method, it calls the camera service to take the picture and converts to byte array and returns to client. It waits for 100 milliseconds and the do the same process again and stream back to client using ChannelReader. PiMonitR is a worker service inheriting from .Net Core background service. So, whenever, server is running in Raspberry PI, it will run in a separate thread for this worker service to run the logic inside the ExecuteAsync method. Background service will run every 10 seconds for each iteration. It capture the photo using camera service and sends it to cognitive service API to detect the emotion. If the emotion rate is higher than defined limit, hub will broadcast the notification to all connected clients. If the stream is already running, _isStreamRunning property in hub will be set so that background service will not process anything further until streaming is closed. Microsoft Cognitive Service API provides the power of AI in few lines of code. 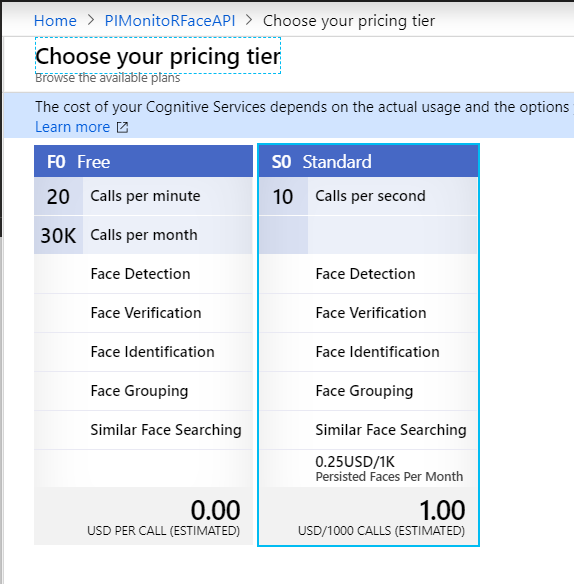 There are various AI APIs are available with cognitive service. I am using Vision API to detect the face emotion to see if the baby is crying or not. In Vision Service, We have Face API that provides algorithms for detecting, recognizing, and analyzing human faces in images. I am using the Free tier from Azure Portal which allows 20 calls per minute. 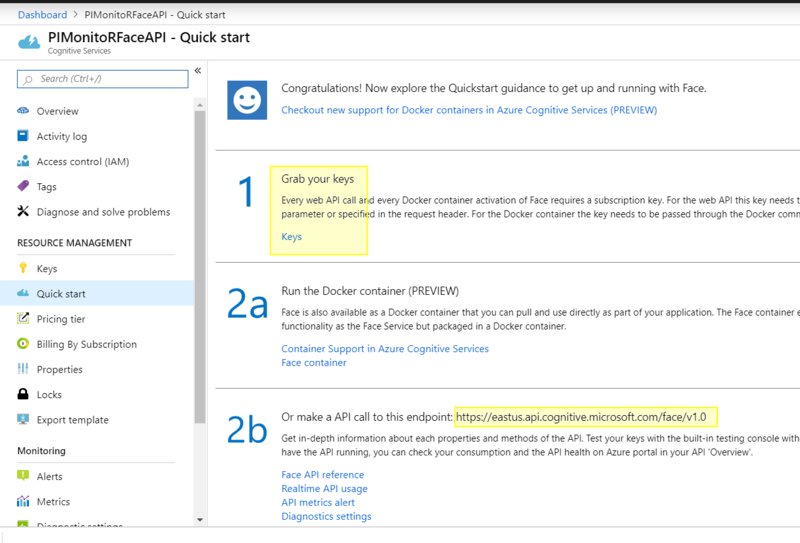 After you register the cognitive service in Azure Portal, you can get API end point and the Keys from the portal. Install the Microsoft.Azure.CognitiveServices.Vision.Face nuget package to install the FaceClient. Before, making the API call, set the face attributes to return only emotion attribute. Face API has got so many face attributes for the identified face. 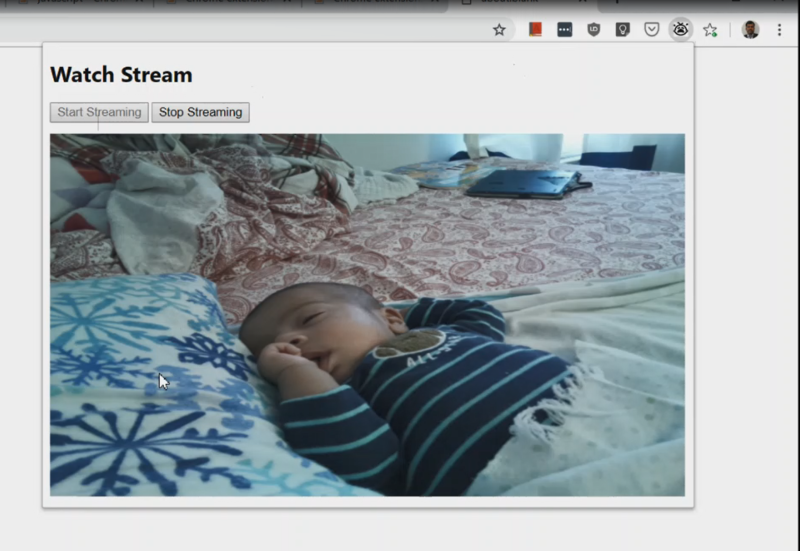 But, for our use case, we use the emotion attribute and it has the value of Sadness or Anger or Fear higher than 0.5, we are returning as baby is crying so that user can get the notification to view the stream. I just came up with this limit and attributes and you can change the value or attributes that works for you. I have tested with few crying images and my limit works fine for all those cases. I am running my Rasperry PI with Raspian OS which is based on Linux ARM architecture. The camera module has built in command line tool called raspistill to take the picture. however, i was looking for some c# library to capture picture from PI and i found out the wonderful open source project called MMALSharp which is Unofficial C# API for the Raspberry Pi camera and it supports Mono 4.x and .NET Standard 2.0. Now, that we have completed the server app, we can build the solution and publish the app into Raspberry PI. I used to self containment deploy so that all the dependencies are part of the deployment. This command will publish the output in linux-arm/publish folder under bin folder. 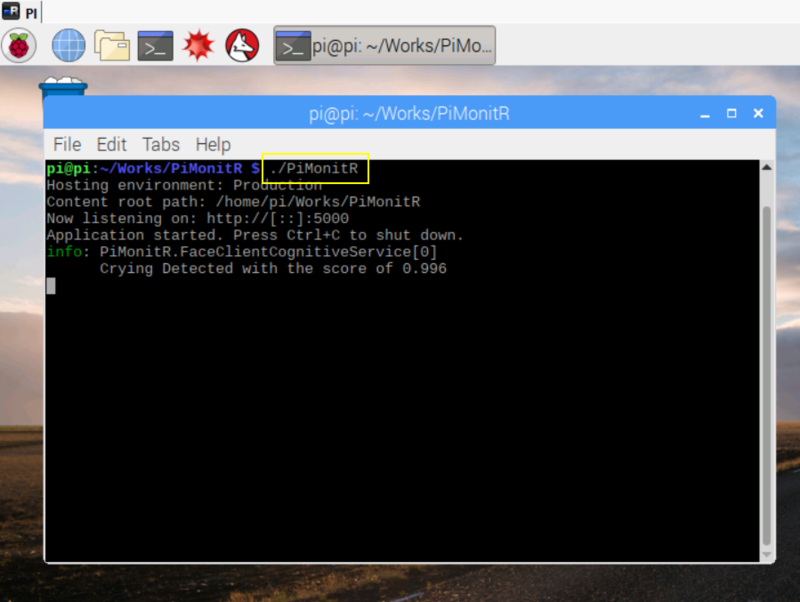 I have file sharing with my raspberry PI so i just copied all the files into piMonitR folder in PI machine. I choose chrome extension as my client because it supports real time notification and also it doesn’t need any server to host the client app. 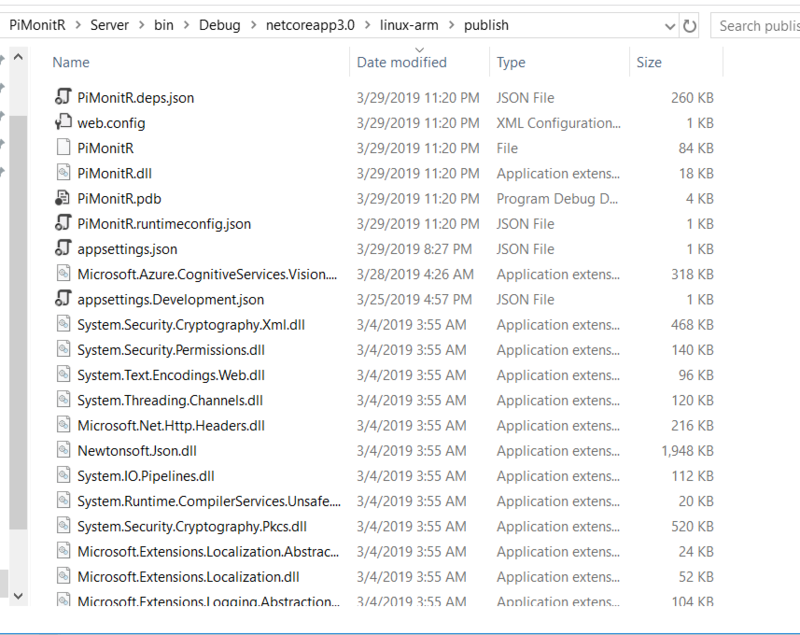 In this client app, i have background script which will initialize signalR connection with hub and runs in background to receive any notification from hub. Popup page will have start streaming and stop streaming button and image view holder to show the streaming output. background.js will initiate the signalR connection with hub with the URL defined. We also need signalr.js in the same folder. In order to get the signalr.js file, we need to install signalr npm package and copy the signalr.js from node_modules@aspnet\signalr\dist\browser folder. This background script will keep our signalR client active and when it receives the notification from hub, it will show as chrome notification. popup html will show the stream content when the start streaming button is clicked. it will complete the stream when the stop streaming is clicked. When the user clicks the start streaming button, it invoke the stream hub method (StartStream) and subscribe to it. When the hub sends the byte array content, it get the Next method callback with the item content and setting that value directly to streamContent Image src attribute. when the user clicks the stop streaming button, client invoke the StopStream hub method which will set the _isStreamRunning Property to false which will complete the stream and complete callback will be called. As i mentioned before, this is just a fun project to experiment signalR streaming and i am really happy with the end result. We also going to have lots of new stuffs coming in (IAsyncEnumerable) and its going to get even better for many real time scenario projects with signalR.